Independent Lean Certification in 10+ countries and 4 continents! You have worked and studied for years to build up your knowledge and skills in the domain of Lean, be it in industry, service, healthcare or any other environment. But what do you have to show for it? Your successful implementations are recognised within your own company, but you want the whole world to know! When it comes to passing a driving test, everybody agrees that this test needs to be passed via an independent organisation, NOT via the driving school that taught you in the fist place. So why not impose the same requirement on a Lean certification? Don't settle for an "I have been physically present" certificate or a certificate coupled to any mandatory training! 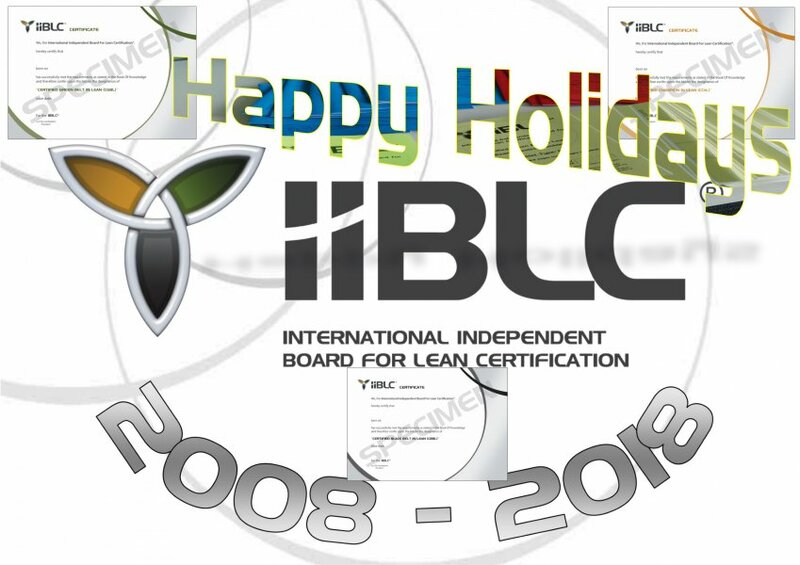 IIBLC® is a truly independent certification organisation! Now, you can prove to yourself, your (present or future) company and others that you do master the necessary knowledge and skills in Lean thanks to the international (already available in more than ten countries throughout Europe, North Africa, the Americas and Asia) independent certification programme of the International Independent Board for Lean Certification® (IIBLC®). This programme gives you the opportunity to become part of the Lean certified community and improve your value both to yourself and your company (present or future) without any obligation regarding pre-requisite! So, don't hesitate and sign-up for the objective tests and get certified by going to the "exam centres" page and click on the signup button under the exam centre closest to you or learn more about IIBLC® and our programme by exploring this website. We hope to welcome you soon in our Lean certified community! Today, Marc Hermo IV of INNOVEO Consulting (Manila) visited us at IIBLC® office Antwerp. » New exam centre in China! Happy to announce our new exam centre in PRC: Shanghai Xinnanyangsidianling Education Technology Co., Ltd. See details here.